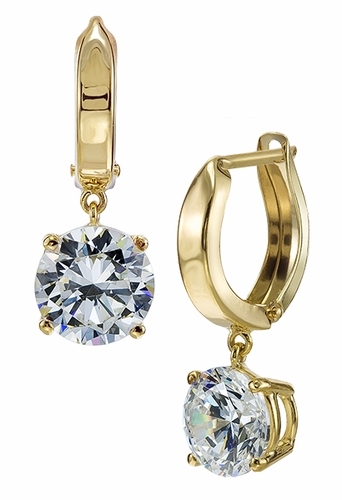 The Fusion 2 Carat Each Cubic Zirconia Round Hinged Hoop Huggie Drop Earrings offer you the look of a classic stud earring coupled with a huggie style hoop for a look that will take you from day to night! 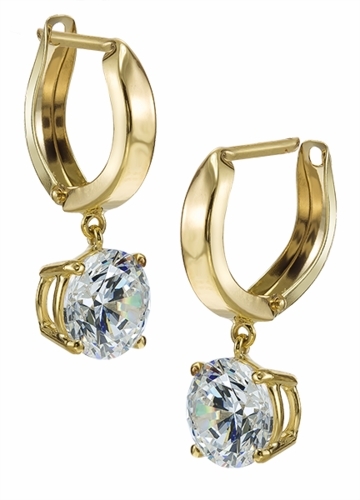 Our Fusion Earrings feature a brilliant 8mm 2 carat round simulated diamond that is basket set and attached to a hoop with a hinged snap in closure. 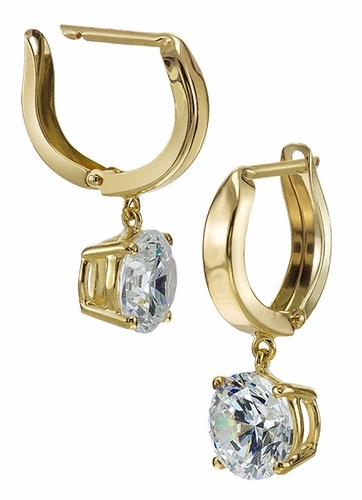 Each basket set round simulated diamond is designed to allow for movement and ultimate sparkle. Our Russian formula cubic zirconia is hand cut and hand polished to exact diamond specifications for a stunning finished product. 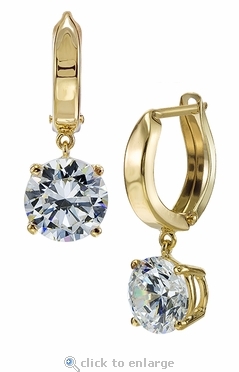 The hoop measures approximately 12mm in length with an additional 10mm in length for the 2 carat round cubic zirconia drop and its setting for a total of approximately 22mm in total length. The width of the hoop at its widest point measures approximately 2.75mm. 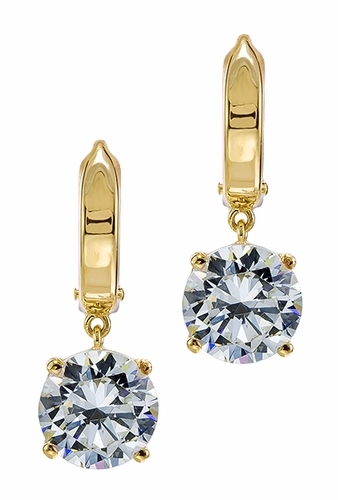 The earrings are shown in solid yellow gold and are also available in solid 14k white gold. Stone color options include diamond look (as shown), canary yellow, and pink simulated diamond cubic zirconia, in addition to man made ruby red, emerald green and sapphire blue. Please see the pull down menu for options. 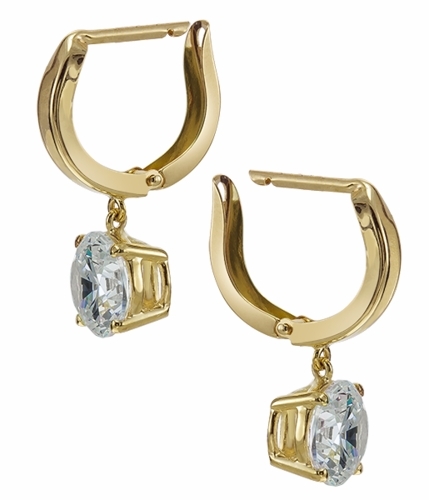 These earrings can be made in other carat sizes and shapes, please call us directly for pricing. For further assistance, please call us directly at 1-866-942-6663 or visit us via live chat and speak with a knowledgeable representative.